High Tensile U-Bolt are available in diameters from 1/2 to 1-1/2 inch diameters with a minimum tensile strength of 150,000 PSI for all diameters and are offered in two types. Type 1 is alloy steel, and Type 3 is weathering steel that offers atmospheric corrosion resistance similar to that of ASTM A242 or A588 steels. Type 3 A490 bolts shall be marked "A490". Established in the year 2004, we Aanuraj Industries ISO 9001 certified organization, is one of the prominent Manufacturers and Exporters at Vasai ,of an extensive range of supreme quality Industrial Threaded Fasteners. The product range offered by us is inclusive of Hastelloy Bolts, Stainless Steel Fasteners, Foundation Bolts, etc. These fasteners are manufactured in adherence to the industry laid standards by using advanced and cutting-edge machinery. Available with us at industry leading prices, these industrial fasteners offered by us are highly appreciated by our customer for their robust design, ability to withstand high temperature, resistance to various chemicals, dimensional accuracy, optimum anti-corrosive property and longer functional life. 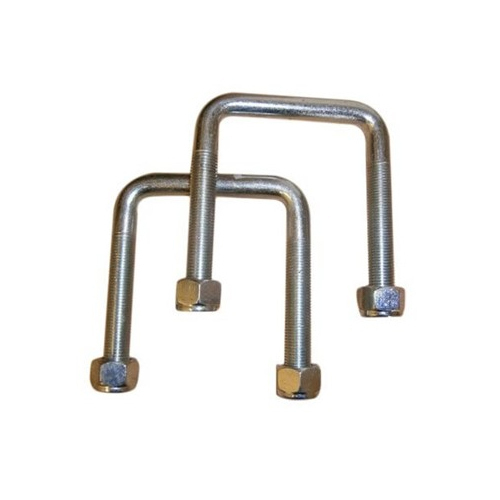 These industrial fasteners are available with us in all the standard sizes. It is owing to our customer centric approach, ethical business policy, transparent transaction policy, and ability manage the bulk orders that we have been able to gain huge clientele across the domestic markets of India. Some of our valuable customers are Merchant Organization Navy and L&T.